This is a nice item for telescope M42(M42x0.75 threads) accessories. Made from durable Aluminum for long lasting use. Keep your telescope or other fancy items clean. Nice Aluminum Dust Caps / Dust Cover for M42 Threads Telescope Accessories or Other M42x0.75 Accessories （Wine Red). It fits any telescope M42 (M42x0.75 threads) accessories. Keep your valuable device from dust by these useful caps. 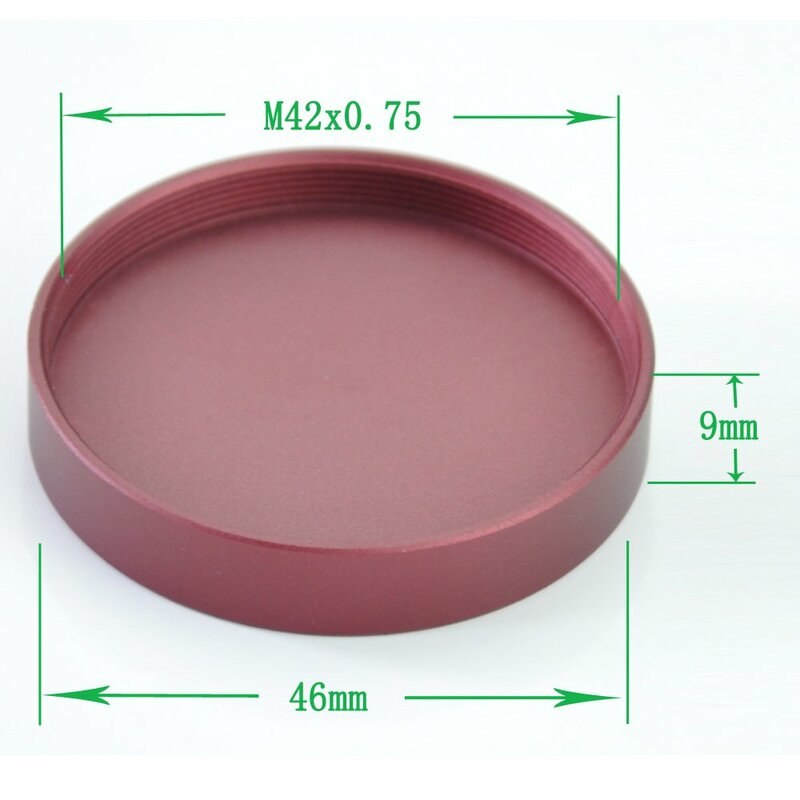 Related products: There is also M48x0.75 Aluminum dust caps in my shop.